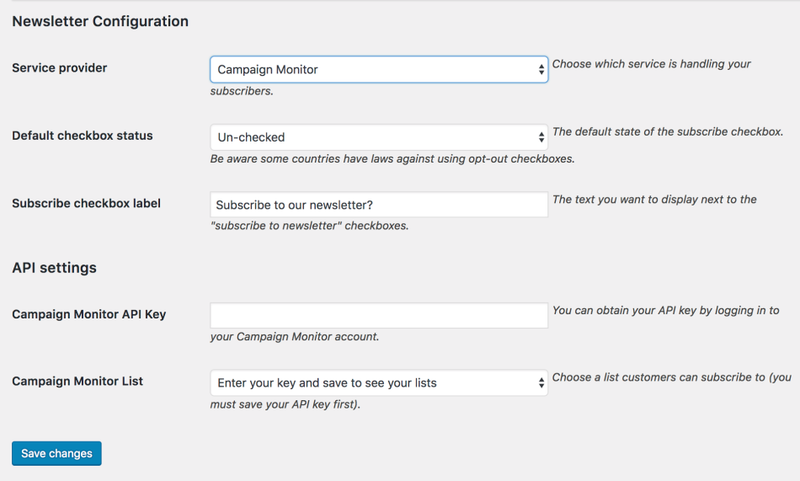 WooCommerce Newsletter Subscription Extension: Let your customers easily subscribe to your CampaignMonitor or MailChimp list during their checkout. Or, prompt them to subscribe via a widget. 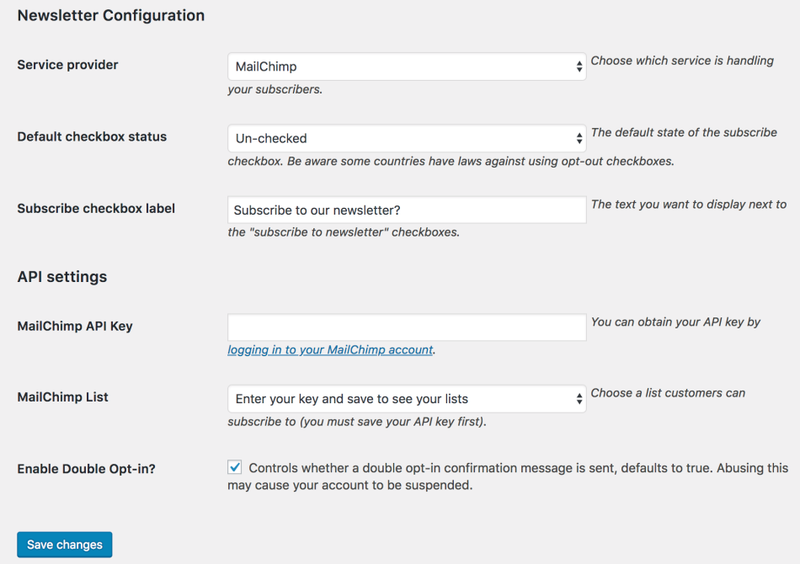 ◉lets your customers opt-in to your CampaignMonitor or MailChimp mailing list DURING CHECKOUT by simply checking a box. ◉converting customers into mailing list subscribers is critical to re-marketing to them at a later date. 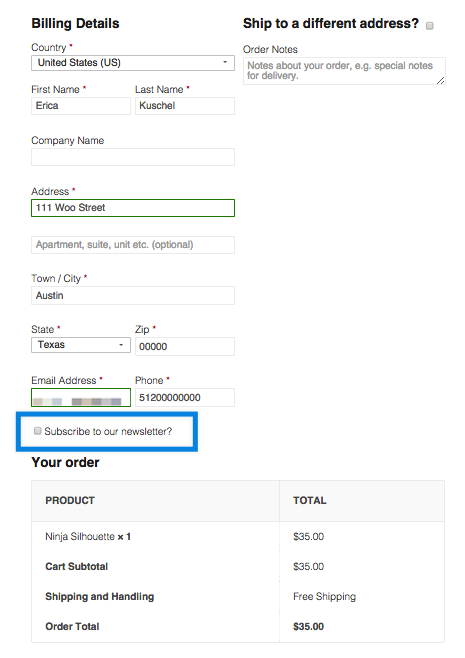 ◉The WooCommerce Newsletter Subscription helps you reach your customers when they are most likely to see the value in opting-in: when they are placing an order and your company’s value is fresh in their minds. 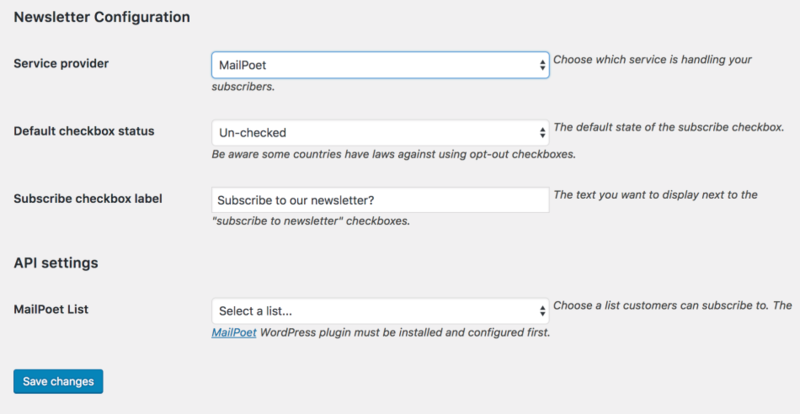 ◉also comes with a widget that you can use to plug your mailing list or newsletter any place there is a widget-ized area.